"See here on the screen," he said pointing to squiggles on a digital display propped on his chest. "There's an interesting feature right here." Somers, a principal with Archaeo-Physics LLC, was part of a team hired by Oregon State Parks to help find traces of the former Chinatown in John Day. Immigrant Chinese miners poured into eastern Oregon after a gold strike in 1861. None of their descendants remain, leaving it to archaeologists to breathe life into their stories. By 1885, the small town of John Day had one of the biggest Chinatowns in the U.S. after San Francisco, Portland and Tacoma. Now there's just one solitary building left of what might have been 100 structures at the town's peak. 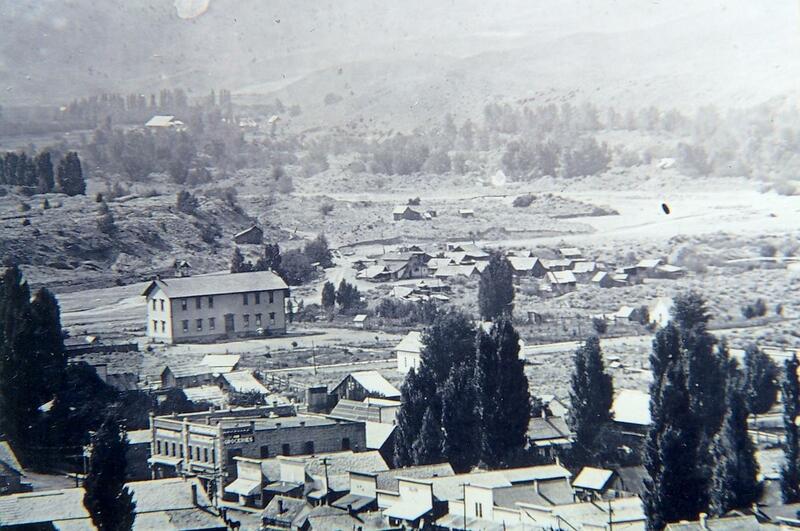 Historic photo of John Day from around 1905 showing the now-vanished Chinatown neighborhood at the upper right. "We can make excellent images of what is underground down to about two meters, a meter and a half or so," said Somers, who lives in Portland. "Ninety-some percent of the world's archaeology, especially in North America, is within the first three or four feet of the surface." The survey at the Kam Wah Chung State Historic Site involved no digging, no trowels or dusty researchers in trenches. Southern Oregon University archaeologist Chelsea Rose, the co-principal investigator, said the team probed the earth without disturbing the earth by using aerial photos, ground-penetrating radar and a fancier version of a hand-held metal detector called a magnetometer. Rose said archaeology could be an important tool to flesh out the lives of people who left few records before they moved on or were chased away. "Most of these rural communities once had hundreds, if not thousands, of Chinese residents," Rose said in an interview. "That story is lost if we are not there to kind of make sure it is added back into the history books. Not just as an exotic footnote of, 'Oh, Chinese miners were here. Or, Chinese built the railroad.' There's a lot more substantial history and personal stories — you know, there's a lot more to add to that narrative." It is a pursuit she foresees taking far beyond mining history in Grant County, Oregon. "We know Chinese immigrants were a critical component of Oregon's early history — in the mines, in the railroads, in the cannery business on the coast, in the hop fields and different agriculture," Rose continued. "So really, there's no end to how big this project can get." 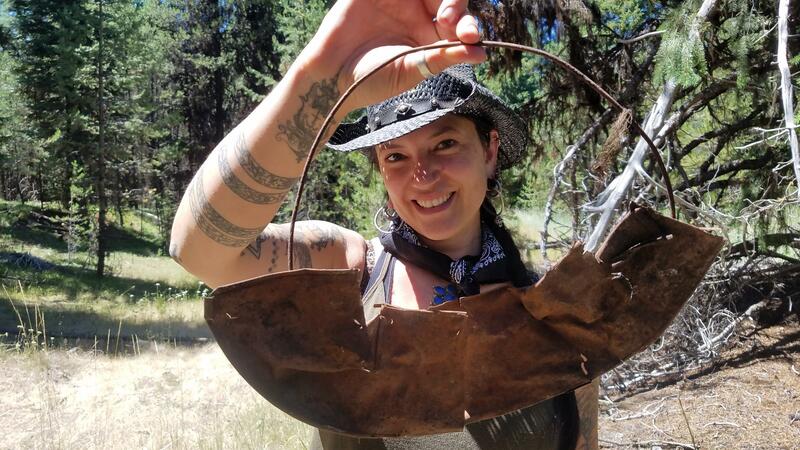 Southern Oregon University archaeologist Chelsea Rose with remnants of a five-part gold pan found during a dig this summer. Rose said a separate effort of what is now called the Oregon Chinese Diaspora Project will look for Chinese rail worker camps along the Oregon & California Railroad in the Cascade-Siskiyou National Monument. That project is supported by the federal Bureau of Land Management. The multi-year, multi-agency project extends into the forested hills and gullies of the Malheur National Forest around John Day. That part of the investigation relied heavily on LIDAR, a laser beam instrument that produces detailed surface maps. U.S. Forest Service archaeologist Don Hann, co-principal investigator with Rose, said mining sites revealed by LIDAR show Chinese immigrants had a much bigger presence than previously assumed. "It's pretty solid that about 80 percent of the gold miners out here from about 1866 through 1900 were Chinese," Hann reported. "That just flipped my way of looking at it. We should assume it is Chinese until we show it's not." 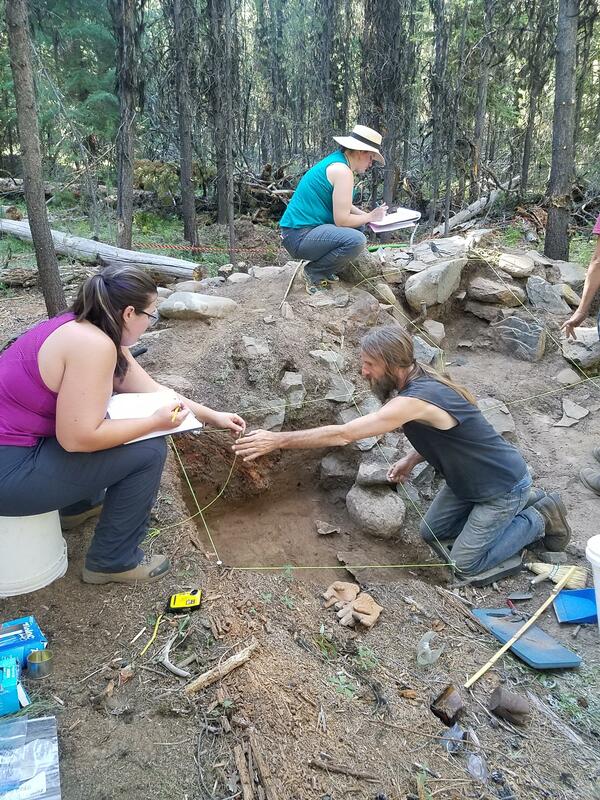 In July, archaeology volunteers unearthed and documented several Chinese mining sites northeast of John Day in the Malheur National Forest. Hann said four excavations this summer of ruined miners' camps turned up hundreds of artifacts that speak to daily life. The researchers found signs of active trade between the wilds of Oregon and San Francisco and southern China. Things they found included preserved ginger, imported ceramics, and opium cans and pipes. Opium was legal in the U.S. until 1909. "It's ubiquitous," Rose said. The project partners plan to return next summer with a corps of students and citizen volunteers to do more excavation and "ground truth" what the remote sensing data uncovered. This month's archaeological survey in John Day has practical relevance to Oregon State Parks, which has ambitions to expand the increasingly popular Kam Wah Chung historical site. The state parks department has acquired or is negotiating to buy surrounding parcels of land and wants to build a new interpretive center in the next two or three years. "Wherever we choose to put the new building, we want to make sure that we don't disturb anything underground that may still be culturally significant," said Kam Wah Chung museum curator Don Merritt in an interview. Merritt said he wants to interpret whatever is left of the former Chinatown, perhaps by marking former structure locations with "ghost foundations." Rose, the Southern Oregon University archaeologist, said last week's digital subsurface probing appears to have turned up remnants of a row of buildings across from the surviving Kam Wah Chung building. "That is pretty exciting, and will help us to orient the existing building within the footprint of the historic community," said Rose. 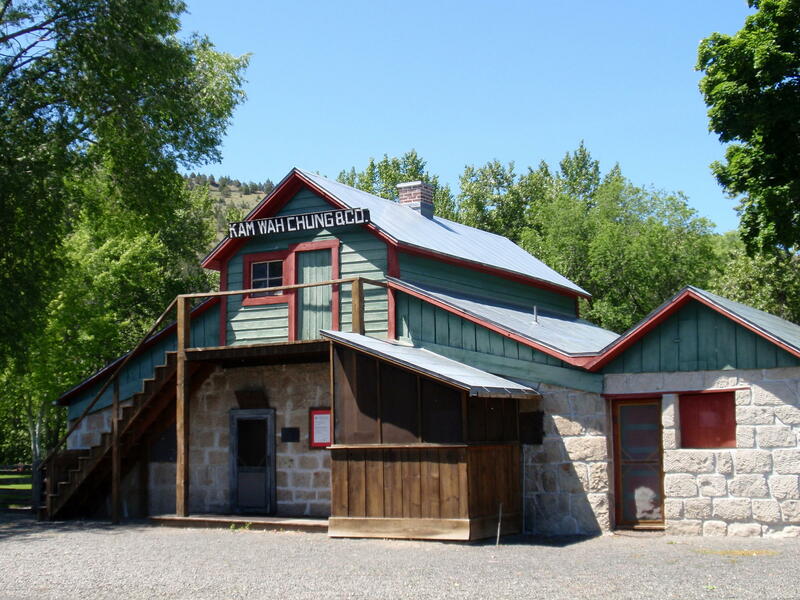 The Kam Wah Chung museum is the only building left of John Day, Oregon's former Chinatown. Before there was an Oregon, Idaho and Washington state, there was the Oregon Country. Early settlers and pioneers voted to form a provisional territorial government 175 years ago this week. The vote was close and featured arguments that may sound surprisingly familiar today. 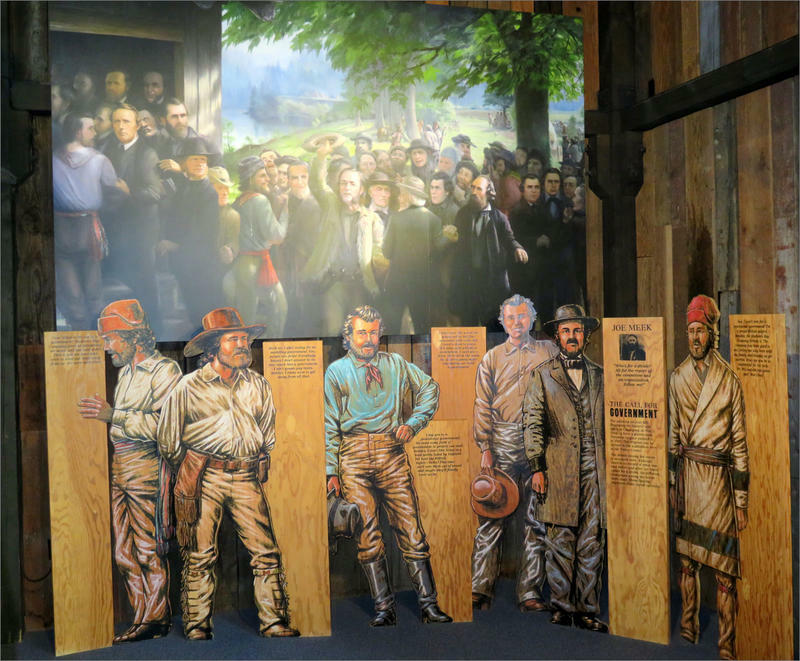 The pivotal decision will be celebrated Saturday as Founders Day at the spot where it happened in Marion County.